A few weeks ago when we stayed in Tarifa for a weekend, and spent a day visiting Tangier across the straight of Gibralter. 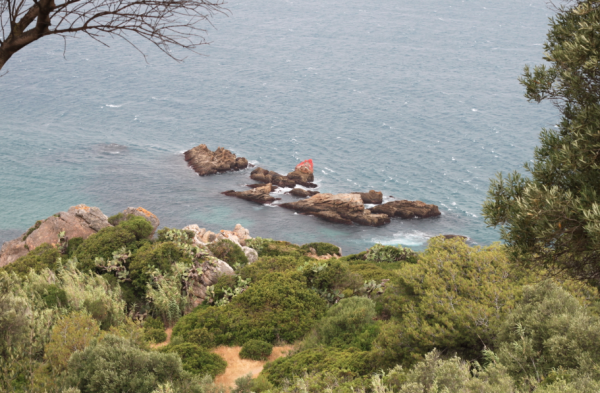 We took the ferry from Tarifa and within less than an hour we were there. 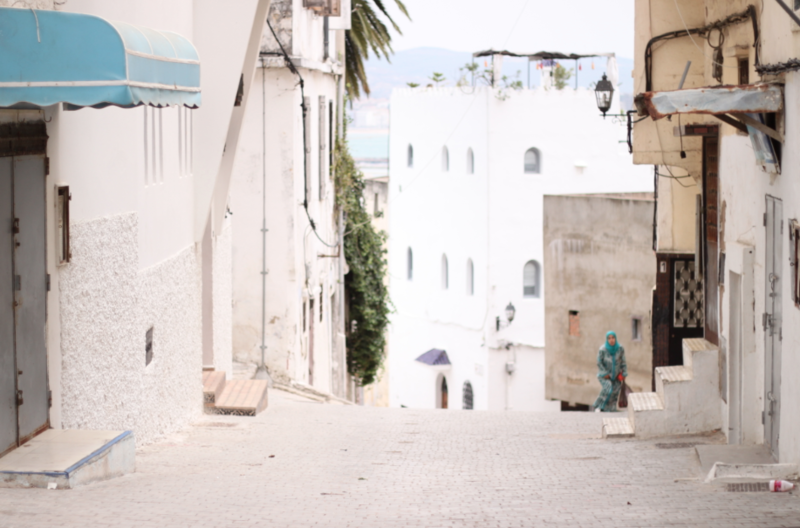 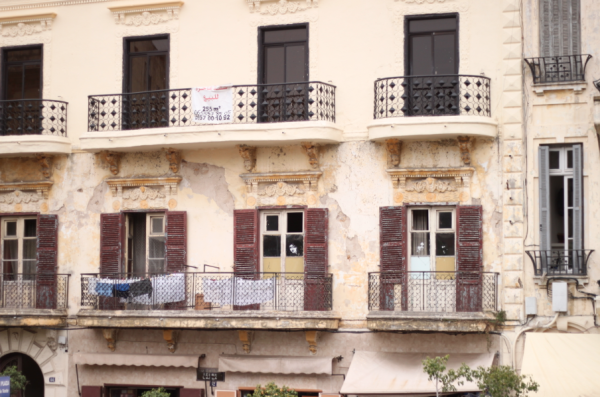 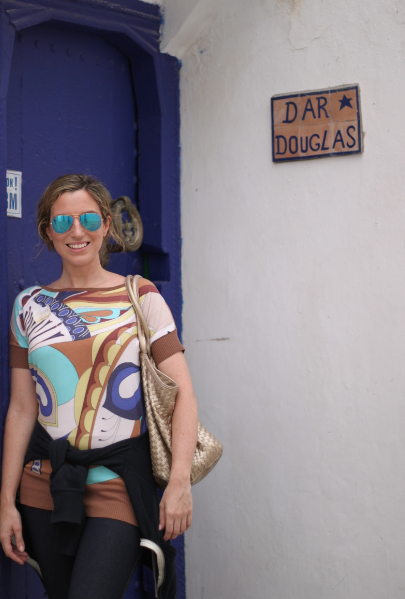 We only had one day to explore the most charming places of Tangier so we decided to go with a guide. 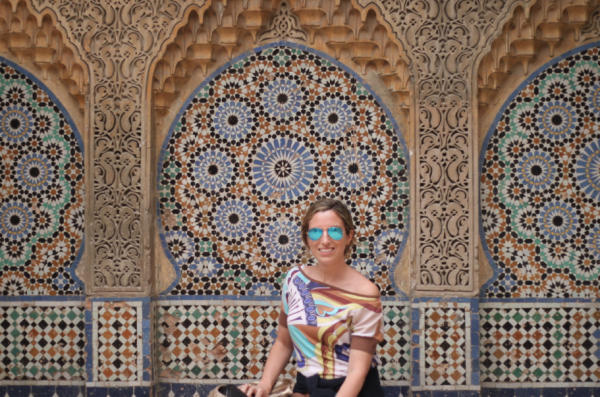 Normally I prefer to travel on my own, planning where the visit, restaurants and controlling the time to spend at each place but in this case it was certainly the best decision. 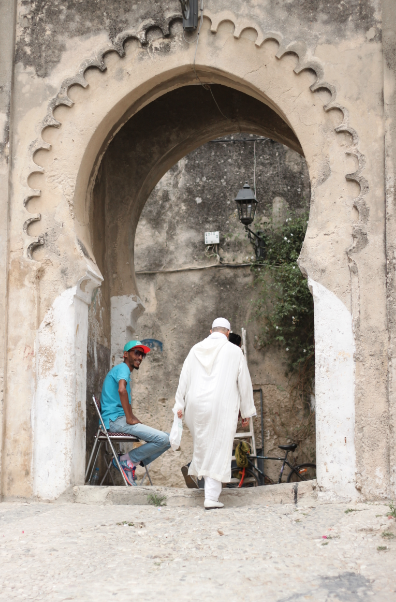 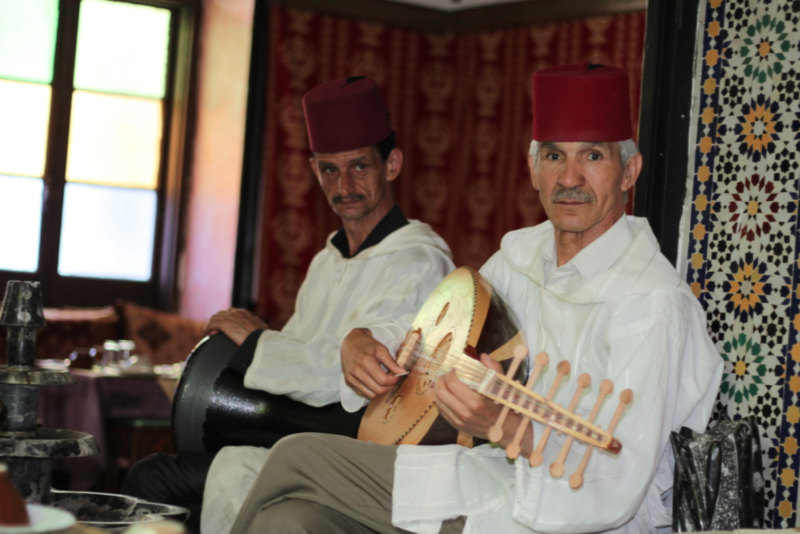 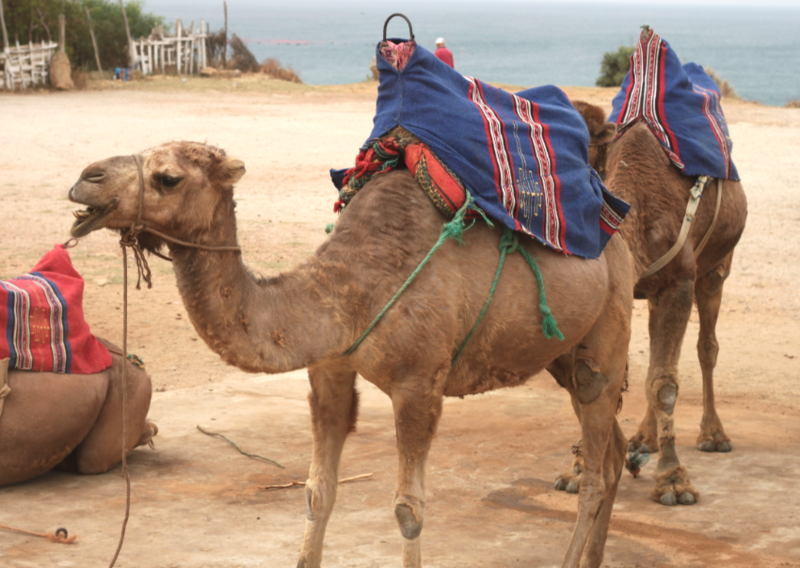 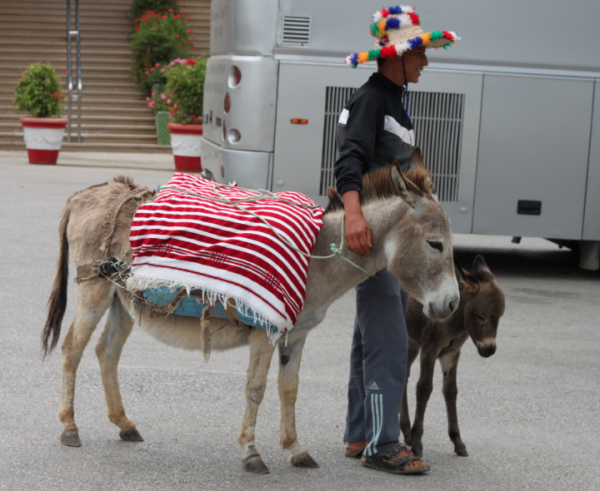 When we arrived at the port we were greeted by our guide who took us to see the countryside around Tangier. 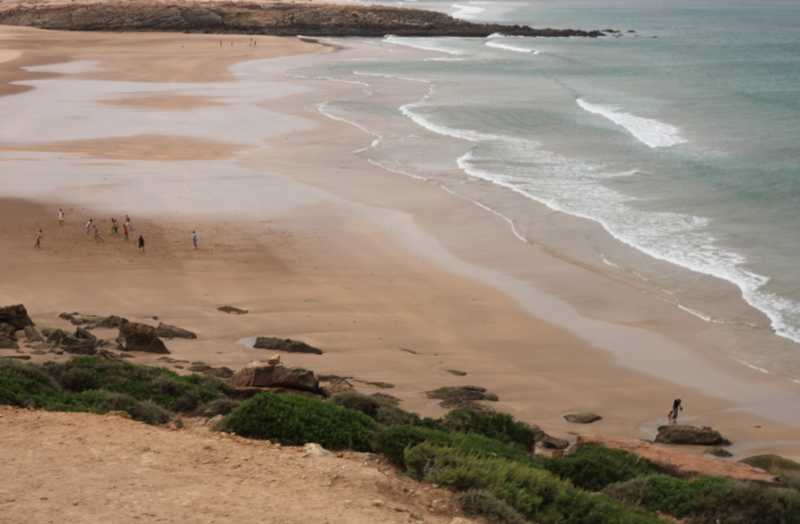 The day was not too sunny and no one was in the water though the sea looked quite inviting for a swim. 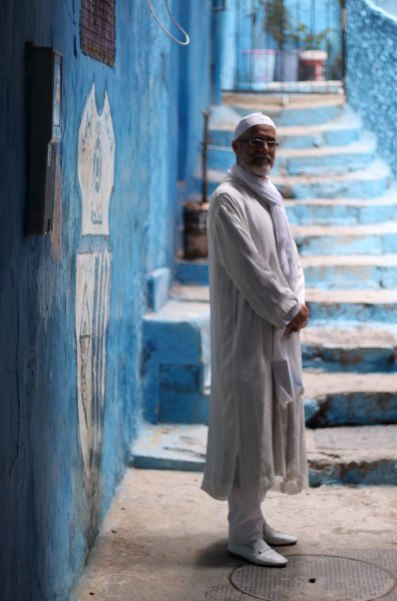 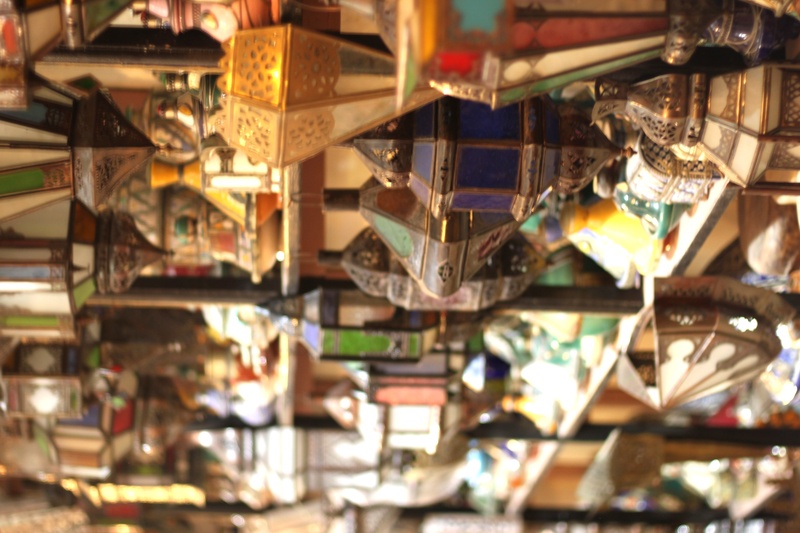 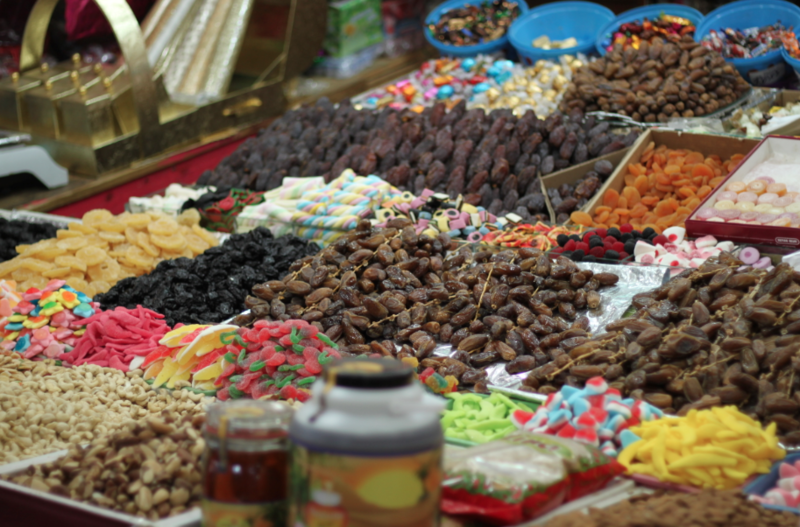 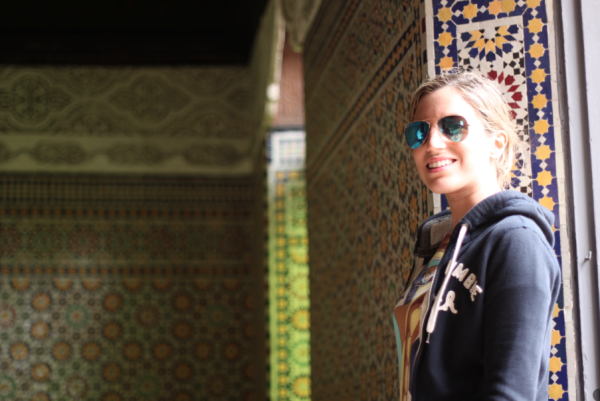 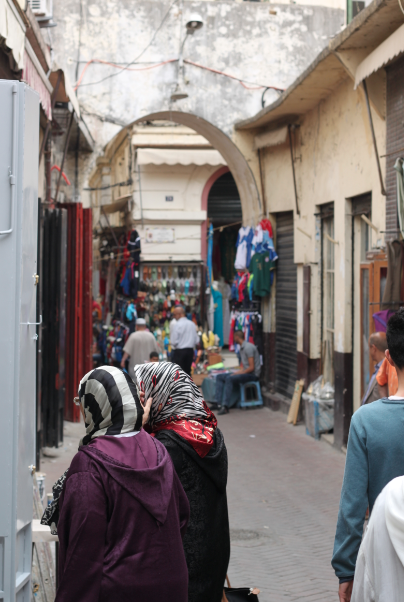 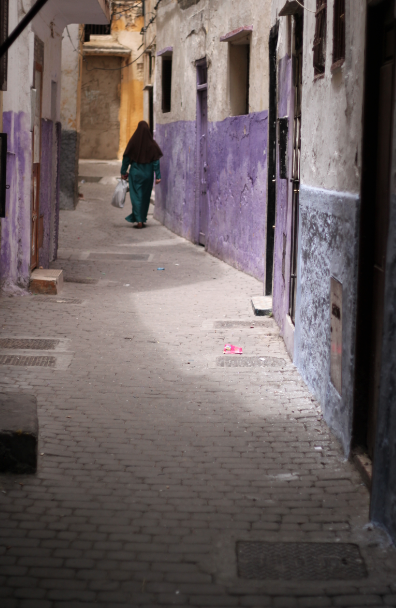 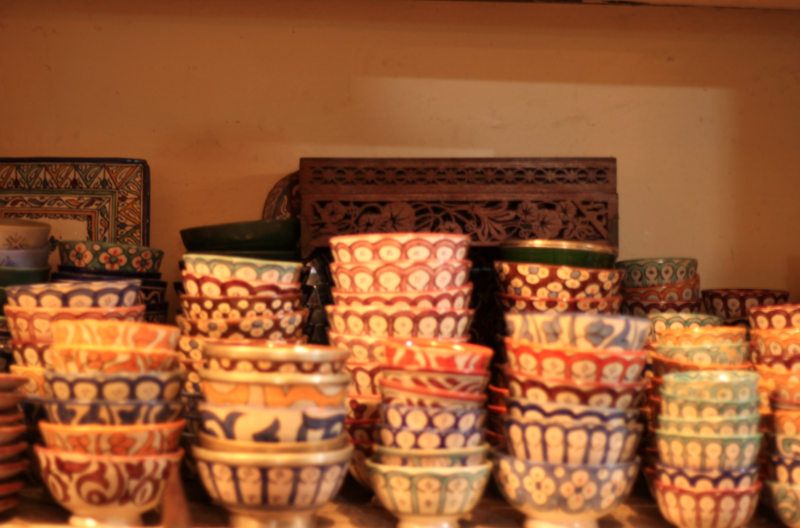 We visited the old center, called the Medina, including the Kasbah (fortifications), markets and squares. 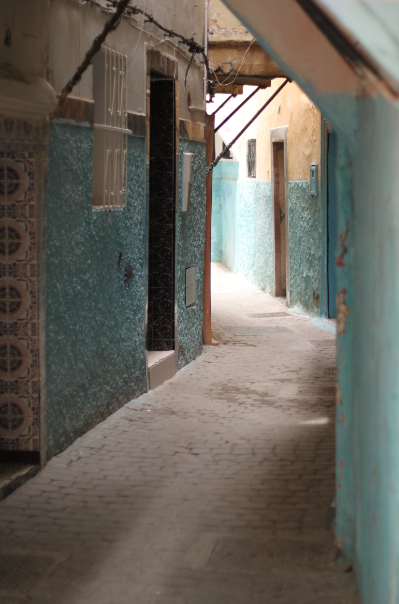 The colorful streets in blue, green and white and colored ceramic tiles add to the charm of Tangier. 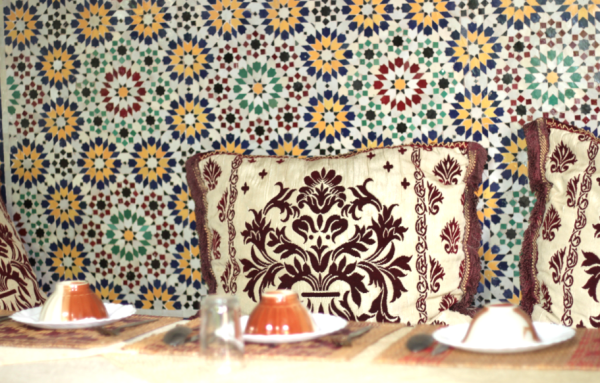 For lunch we went to La Mamounia restaurant where we tried the menu which consisted of several traditional dishes. 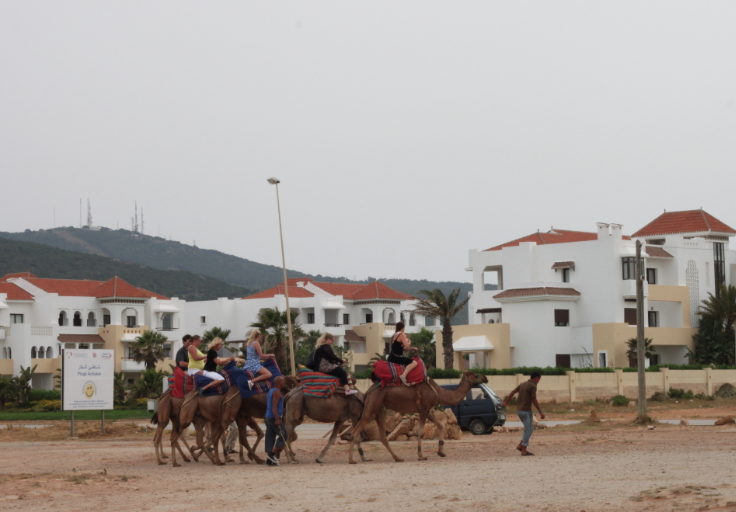 When we finished the meal we had time to walk, go to a cafe and explore the town. 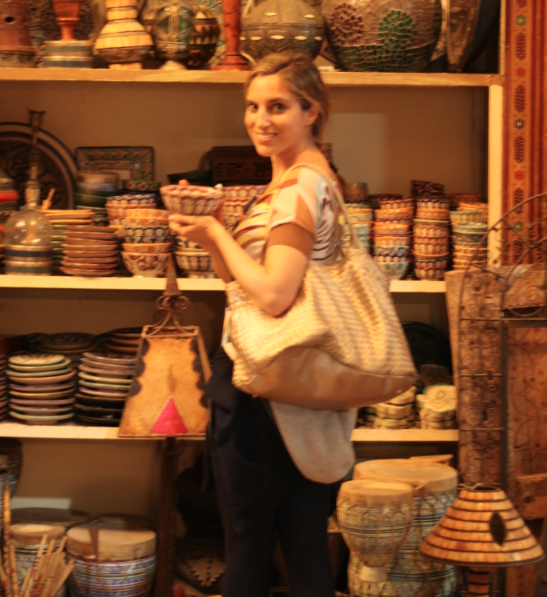 At the end of the trip, before returning to the port to catch our ferry, we went to see the local shops which sell products such as argan oil, cashmere foulards and pashminas and ceramics for home decoration. It was a very packed day of sightseeing, shopping and eating, going all around Tangier, and leaving with the impression of having seen the most interesting parts. 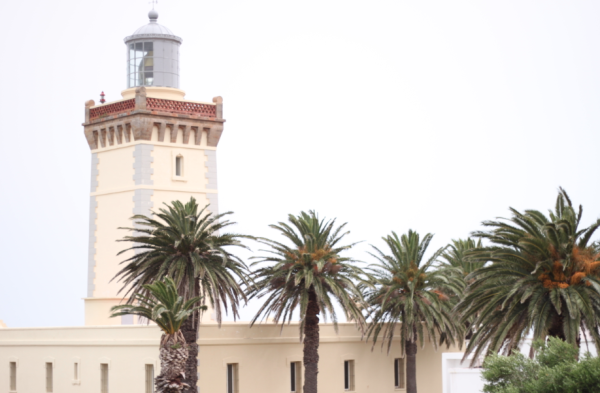 If you are in the region of Cadiz, this is a visit that we highly recommend.